When I first started blogging it was to promote my Etsy business. As I have said before, I really didn't have a clue as to what blogging was all about. I remember when I hit 50 followers I thought I was really hot stuff. Oh brother!! Most of my posts at that time were truly cringeworthy and the photos, I was taking with a 3.2 megapixel camera, were definitely not the best. 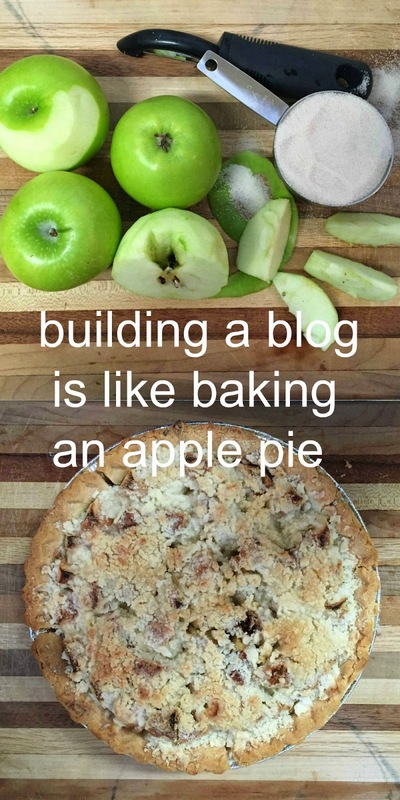 To me creating a successful blog is kind of like baking a pie. You gather together good ingredients, mix them up in just the right way, and hope that when you pull it out of the oven it is the tastiest pie ever. I have never garnered a humongous following or had a post go viral, but my blog has steadily grown, and along the way I have learned a lot about this blogging business. I have learned that there are as many different reasons for blogging as there are ways to go about doing it. There are different platforms to host your blog, including WordPress, Blogger, and Typepad, and while some people blog just for the fun of it, or just as a way to make money, the rest of us do it for a combination of the two. The one thing I have found that seems to unify us is that most of us would love to have more people reading our posts, which we put our heart and soul into. I have read some advice from "big bloggers" who have said that it doesn't matter how often you write or how you promote, if you write quality posts the readers will come. Ummmmm, so let me get this straight, write good stuff and people will magically find you. That idea kind of leaves me scratching my head. Yes, I agree that you need to write quality posts in order to keep a reader's attention, but let's face it, it doesn't take a rocket scientist to realize you need to get those reader's there to begin with. So what are the best ways to get readers to darken your doorstep? Once again, there are a ton of different views on this. I recently found a post from Organize Yourself Skinny that I really liked. She has some really spot on information about growing your blog. There is information for every blogging level, and I can even understand most of it, which is more than I can say for a lot of the other stuff I read. Creating friendships and learning about blogging is something that most bloggers over the age of 40 are interested in. A few weeks ago we started a Facebook group called The Over 40 Blogging World. If you have a personal Facebook page, are a blogger over the age of 40, and would like to join us, we would love to have you. There will be a link at the end of this post. Oh, and no skipping ahead to the end. I know your fourth grade teacher warned you about doing that. Growing a blog's readership is hard work. The majority of bloggers who have hit the big time did not start a blog one day and become overnight sensations the next, but having a blog with a readership that makes you happy is definitely a possibility. 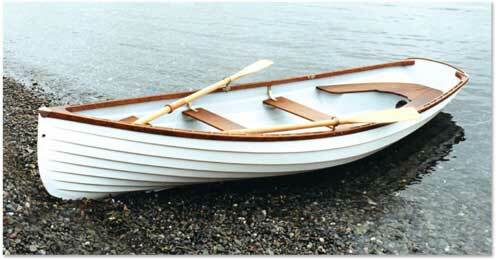 When you put in the work you may just find that you're gonna need a bigger boat for all of those readers. Now, about that Facebook group. You can find it here. See, I didn't make you slog through too much more to find it. P.S. Yes, I did play hooky yesterday. I was trying out that quality versus quantity idea. Wonder if it worked? Blogging is hard work and growing it is even harder. I don't think theres any magical answer I find some of my most boring posts (IMHO) are what readers like the most. I also find I have pins that have went viral and I have no idea why. Its a strange blogging world for sure. It is, Dawn. I wish there was a magic bullet, but I think we just have to keep on working. Hi Laura... hate to be a pain but could you change the fb page that goes with Katie Clooney to Preppy Empty Nester? Right now it comes to my personal fb page. Thx. Hi Laura. I just blog for fun and it's also like keeping a record of my life. Also I have friends far away that like to read what I am getting up to. It would be nice to have loads of people following me but I still get a thrill when I get a new person who wants to follow me. I find some of the big blogs start to be like magazines and that is not what I am about. But then we are all different and that makes it so much fun to read. We are all different, Rosezeeta and you're right, that is what makes it so much fun. Reading like a magazine is not my goal, but there are a lot of bloggers that it works well for. I still like the personal touch. I do blog just for hte fun of it and to have a history for my grandkids someday...so that they know who I am-as someone other than their Nana. I love it when people find me and have made many friends along the way...some stay for a long time-others pop in and out from time to time and some disappear forever. It's a lot like real life. The one thing that GETS ME--- I will never understand this. I will visit someone's blog- it is magical-MUCH better than my own-an IMPRESSIVE BLOG! They have wonderful photos, beautiful words and a great looking blog. They have several hundred followers-BUT--they get NO COMMENTS....or very few comments. I know they visit because I see their comments here and there. I guess there is no "magical solution" to garner readership/comments. Well, Laura, I could just say ditto to Diane's comment! I blog for fun, have no particular niche, but enjoy my blogging friends. I'm kind of like you, Deb. Sometimes after I read a post I just don't feel that I have anything worthwhile to contribute. Yes, I'll take quality over quantity any time. Ditto what Diane said! My blog is a bit of a journal and also just for fun and I love to share photos, too. Also, I agree with Deb. If I'm really busy, I might just read a blog but not take time to comment. I love blogging, but it is very time consuming! I don't have any of the answers, either. I blog for fun and for having somewhere to put some of the millions of photos I take. Like Diana, I like the idea of leaving something behind for the grandkids I'll have one day. My grandmother's journals were destroyed in a flood- which absolutely broke my heart. Love reading this-I blog for fun and to show my furniture re-dos. There are times when I wish my blog had a bigger following and I made money form it, but that is not often. I work full time and bulges a hobby!